Missed the merch booth on the Voicenotes tour? Now is your second chance to score this item! 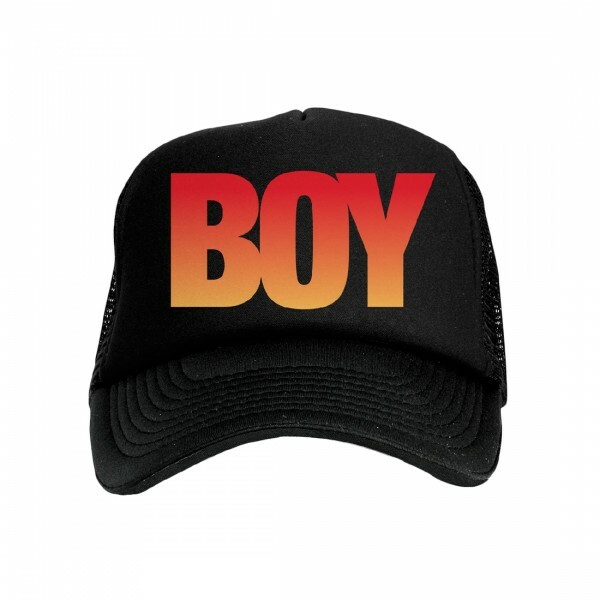 This black trucker hat has 'BOY' printed on the front in a gradient from red to an orange color. The design is printed on a 100% polyester foam hat with a plastic mesh back. One size fits most.